Hands-on training, designed to boost your teams’ creativity and innovation. Participants learn creativity theories and working modes and put them into use while building and programming real-life robots. To accomplish this, we use such tools as LEGO Mindstorms EV3 sets. 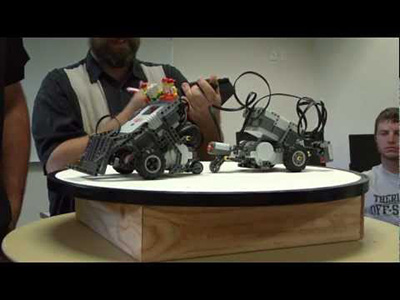 Participants compete against other teams, design, build and program the best CleanerBOT, SUMObot or a Martian Rover that will win in a tournament. 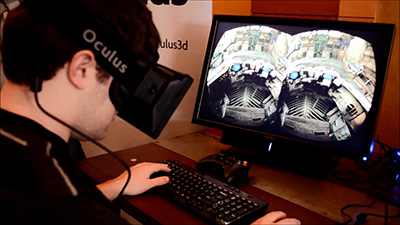 Additionally, participants are challenged with tasks in Virtual Reality - Oculus Rift, programs and PC games specially designed to develop abstract thinking, 3D imagination and creative problem solving. The whole training is based on gamification principles: prizes for different challenges, managing virtual budget, buying additional parts etc. It’s a practical training for scientific minds. Few theory, a lot of action, creative thinking and great fun. This training tests and develops such competencies as: abstract thinking and breaking thought patterns; creative problem solving; time management; effective communication; project management; effective cooperation.